Cap Times Editor Emeritus Dave Zweifel's current column is a must-read primer on the many corrosive consequences on students, teachers and the learning environment tied to Gov. 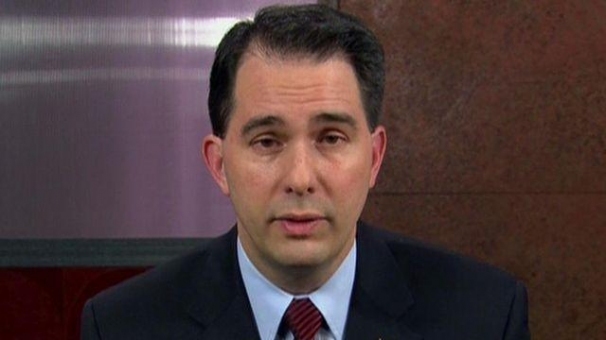 Scott Walker's signature attack on public policy in Wisconsin known as Act 10. Among the hardest hit have been the state's public school teachers. Not only were they required to pick up a significant portion of their health insurance and pension costs, Act 10 also significantly hamstrung local school districts from raising some revenue on their own even as the state cut $750 million from public education while enacting tax breaks for many of the state's big businesses. To state the obvious, the act has significantly altered the relationship among teachers, administrators and school boards. Just how big this impact has been was detailed in a study conducted last year entitled: "In the aftermath of Act 10: The changed state of teaching in a changed state...."
One of the toughest problems for teachers, the study found, is that because Act 10 took away the requirement that teachers could be fired only for just cause, there's constant pressure to be extra careful. In other words, you never know when an official will visit your classroom, not like what you're doing and soon you're out the door. The study also revealed that class sizes have increased in most of the districts and there is now seldom enough time to "sit down with kids" and build relationships. The "churn" among the teaching force is significant, many have retired early, and others leave for better and, often, less-stressful jobs. - - and Zweifel's focus on the study helps add data and context to Act 10 and its endlessly-unfolding trauma. One thing to never forget about all this is the dissembling Walker engaged in about Act 10, its reach, and goals when he launched and sugar-coated it. "These are bold political moves, but these are modest, modest requests," Walker asserted, of proposals that would completely strip public employees of their right to collectively bargain for anything except salaries (and to severely limit their ability to do even this), along with sweeping new rules that will make it difficult for their unions to survive. Here is what Walker said during the call that he had told his Cabinet a few days earlier on February 6th, 2011 - - twelve days before he stood in the State Capitol, and, with false modesty, spun Act 10 to reporters as "modest, modest requests." This is how he framed Act 10 for his top advisers, and does any of it sound "modest, modest" to you? This is an exciting time. This is — you know, I told my cabinet, I had a dinner the Sunday, or excuse me, the Monday right after the 6th. Came home from the Super Bowl where the Packers won, and that Monday night I had all of my cabinet over to the residence for dinner. And, uh, I said this may not have as broad of world implications, but in Wisconsin’s history — little did I know how big it would be nationally — in Wisconsin’s history, I said this is our moment, this is our time to change the course of history. And this is why it’s so important that they were all there. I had a cabinet meeting this morning and I reminded them of that and I said for those of you who thought I was being melodramatic you now know it was purely putting it in the right context. And don't forget about how he let his so called business loans that don't get paid back. Long after Scott Walker is consigned to be an asterisk in the history of what was once a great state, public education in Wisconsin will NEVER recover to the level of excellence that Wisconsinites enjoyed for 30 years before Scott Walker & the Rethuglicans made it their mission to denigrate and destroy the personal lives of thousands of dedicated educators across Wisconsin. Since 2013, I have chronicled the effects of Act 10 on teaching conditions in numerous school districts across SE Wisconsin on the website Teaching in Wisconsin. Those of us who collect data for this website are frequent speakers at college campuses across Wisconsin, and more recently, Minnesota. Our message is clear; if you are graduating as a teacher, run as FAST as you can AWAY from Wisconsin. By providing examples of the hundreds of teachers who have been fired since Act 10, often on the basis of just ONE parent complaint, our stories are all the encouragement the next generation of teachers need in order to cross Wisconsin public school districts off their employment lists. Increasingly, we are being invited to speak at colleges across Minnesota to help that state retain it's young teachers from being recruited by many of Wisconsin's absolute shithole school districts, districts with 70% to 80% turnover since Act 10; districts that go up to Minnesota job fairs to recruit unsuspecting Minnesota teachers because Wisconsin kids won't work at those districts.